Let's make our friends solidarity through donations now kitabisa.com, Kawan, Information that, the refugee community in Nduga Regency after the administration since December 2, 2018, where the OPM killed 17 people and the TNI officers conducted sweeping around the site to make Civilians Evacuate in the Forest. The war between the Indonesian National Armed Forces and the TPNPB OPM made people evacuate to the nearest Forest and District. 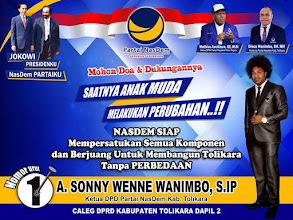 They need financial assistance regardless of their value and I solidarity by helping the community and Papua with what we value. Let's extend your assistance in donations to our brothers in Papua. Help this campaign by becoming a Fundraiser. Every donation that you collect will be channeled to the Solidarity Assist Community and Papua. Greetings, we are from the Teratai Hati Papua Foundation, a foundation that is engaged in humanity in Papua. 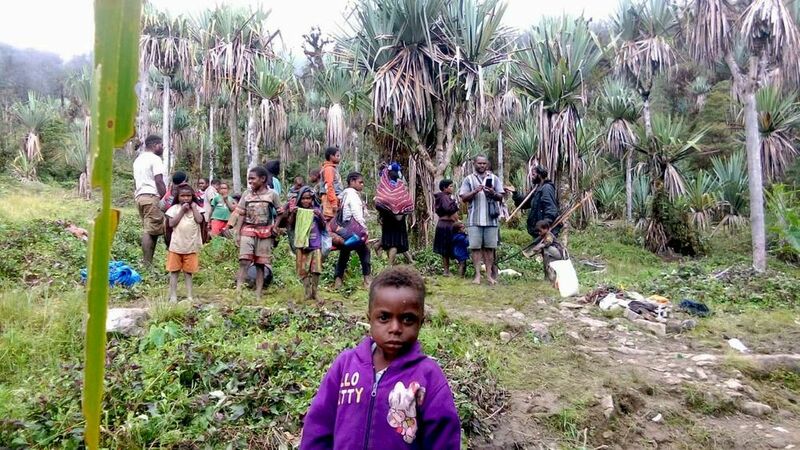 The tragedy of armed contact in Nduga left deep trauma for the people of Papua. The tense situation is still ongoing. This creates a feeling of insecurity for the people in Nduga to stay in their homes. Feelings Not Safe in Your Own Home. They feel afraid and insecure that many people decide to flee to safer areas. Among them are Negeyagin, Wutpaga, and Kwiyawagi districts. Living in refugee camps makes it difficult for people to get food and medicines that continue to thin out. The condition of the community is increasingly difficult because of the limited transportation to bring goods needed by the people in refugee camps, as well as the comparatively expensive costs. 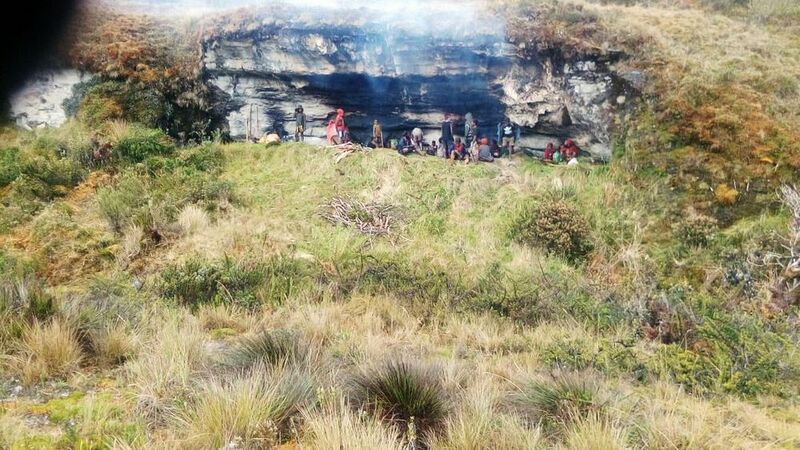 Transportation costs for carrying expensive items hinder the incoming assistance, for example for one way from Wamena to Yigi to Mugi reaching 30 million or commuting to reach 60 million rupiah. 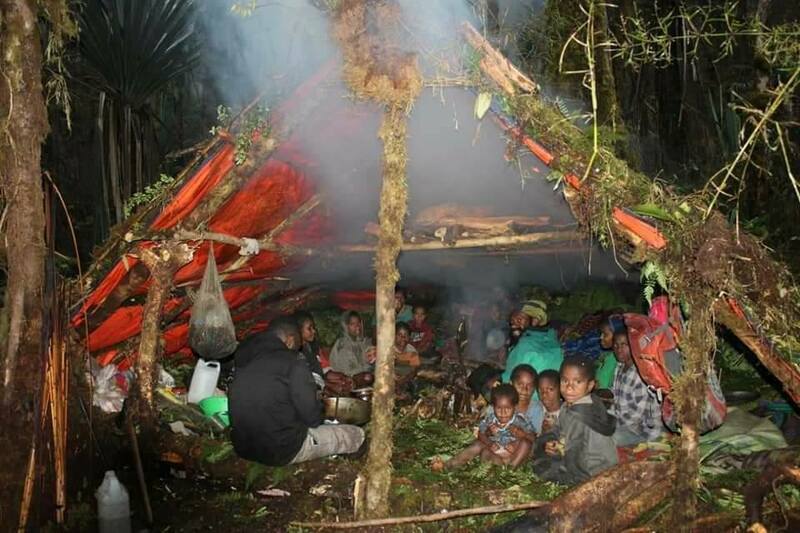 Considering that some residents took refuge in remote areas, all parties need to immediately help alleviate the suffering of displaced people, especially those who are sick or mothers who will give birth in the middle of a forest where there is not one health worker and medicine. 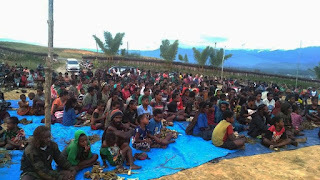 We continue to strive to help the refugees who are Papuan people who are also our brothers. 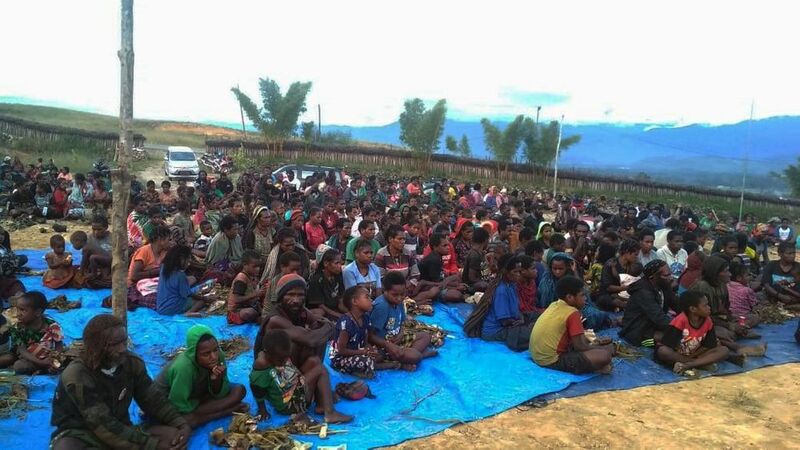 And distributed directly by the team of the Lotus Heart of Papua Foundation to the refugee area. Also help share this page so that more prayers and help are collected.